I love Florence. Truly love it. One minute you’re winding your way down tiny cobble stone streets, and the next you’ve found yourself in a grand piazza, in front of stunning cathedral, or the grand facade of il Doumo itself! Crossing the river Arno to Oltrarno, or “the other side” feels even more like stepping back into Italy’s rich and colorful past. This side of the river, which is known as the Artisan Quarter, has remained off the beaten path for most tourists, so rather than little souvenir shops, these winding streets around Piazza Pitti are filled with the workshops of shoemakers, blacksmiths, gilders and bookbinders, many of which are centuries old, and still same tools and methods passed down from master to master throughout the ages. Sounds like my kind of heaven, doesn’t it? 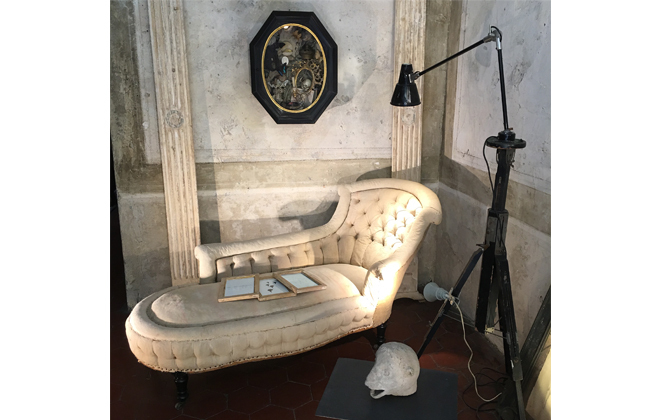 One workshop I happened upon while strolling down Via de Serragli belongs to the local artist Luca Rafanelli, who has lived and worked in the neighborhood his whole life. 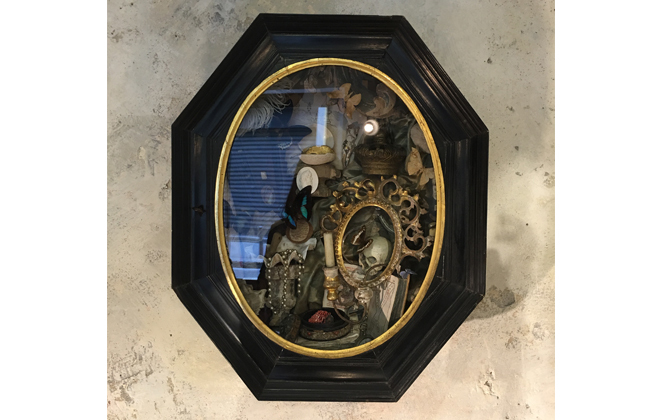 The storefront caught my eye because of the wonderful little assortment of oddities in the window, but when I went inside I found not only is Luca a collector and restorer of antiques (a skill he learned in workshops around the neighborhood), but he is also a painter! And quite a talented one at that. I don’t think this corner could look more inviting, do you? It’s moments like these that make me fall in love with true artisanry all over again, and I’m so happy to know that there are pockets like Oltrarno that still foster that sprit of craftsmanship. Fascinating objects in every corner and on every wall. 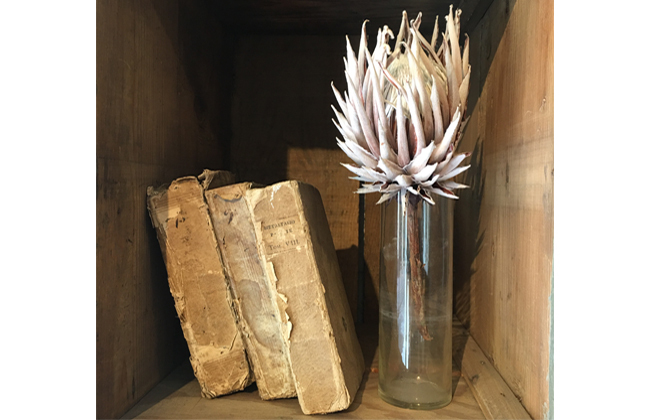 For some reason, this was my favourite still life in the shop. Although the Oltrarno has become more tourist friendly in the last few years (in part to the major re-vamp the city has overtaken for the neighborhood, including opening up many buildings and bridges) but it still maintains it’s neighborly feel, and it truly is amazing to see all of these fabulous artisans preserving these ancient crafts! If you find yourself with the chance to visit this magical town, Florence, please make sure to head to this area where you are bound to be delighted. 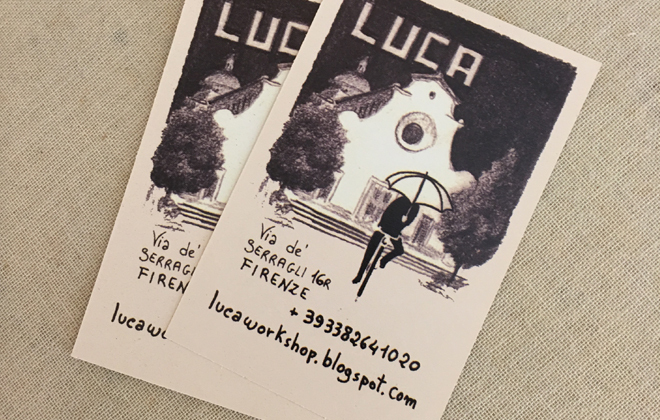 If you find Luca Workshop, please tell him we said hello and look forward to being back sometime soon.